Deep concern for the environment is encouraging many Australians to prioritise sustainability in the design and construction of their homes. With increasing awareness of climate change and other environmental impacts, people are focussing on creating sustainable spaces in new builds as well as renovations. Building for energy efficiency is one effective way to ensure a sustainable home. Carefully designed doors and windows will optimise the use of energy in keeping the interiors warm in winter and cool in summer without wastage. You have taken the first step to a sustainable home by getting modern, energy-efficient timber windows and doors, but sustainability doesn’t stop there. If you want to minimise the environmental impact of your building, you must be sure that the materials used in its construction, especially your doors and windows, are sustainable choices as well. The Australian Government has some of the world’s best sustainable forest management standards, so if your timber is local, it’s likely to be sustainable. A native coastal species dominating the eastern reaches of New South Wales, Blackbutt is one of Australia’s most prominent commercial timbers and preferred by sustainable builders for the high quality of wood as well as the fact that it can be regrown reliably and quickly. Blackbutt is so named because of the dark appearance of its trunk after a bushfire. It is one of only seven timber species recognised as bushfire-resistant and the fire damage is usually cosmetic. With pale brown heartwood and very pale brown sapwood, Blackbutt is exceptionally versatile in application and also striking in appearance. Spotted Gum is a name given to a handful of different native Australian trees with one common attribute: they all produce beautiful, naturally strong timber. Each Spotted Gum species shares straight, slender trunks that have smooth bark, which sheds in patches, leaving the trees with their signature spotted pattern. 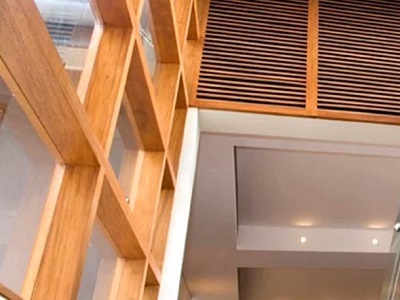 Architects and designers love Spotted Gum for its wide range of colours and ‘fiddleback’ texture, which help them create distinctive, visually appealing doors and windows. The heartwood ranges from light to dark red-brown, and the sapwood is white or light brown. Contact Nicco Joinery to learn more about their doors and windows made from sustainable timbers for your next project.